I’m fascinated with dolls and miniatures, and I love making them too. Polymer clay and ceramics, wood and paper, metal, textiles and fibers of all kinds are used to create little wonders, and I’ve been exploring new directions there lately. 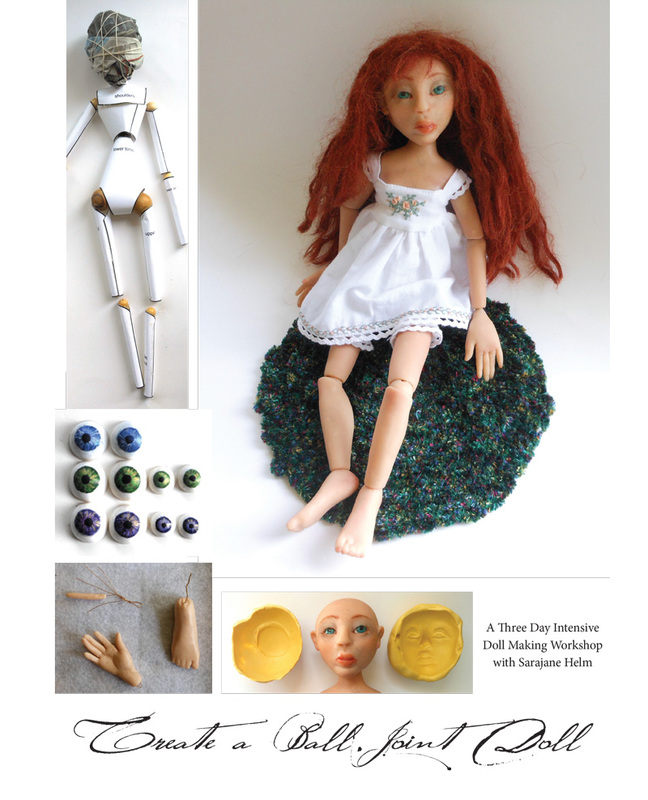 Please visit my new website Its The Little Things dedicated to making polymer clay ball joint dolls and miniatures! 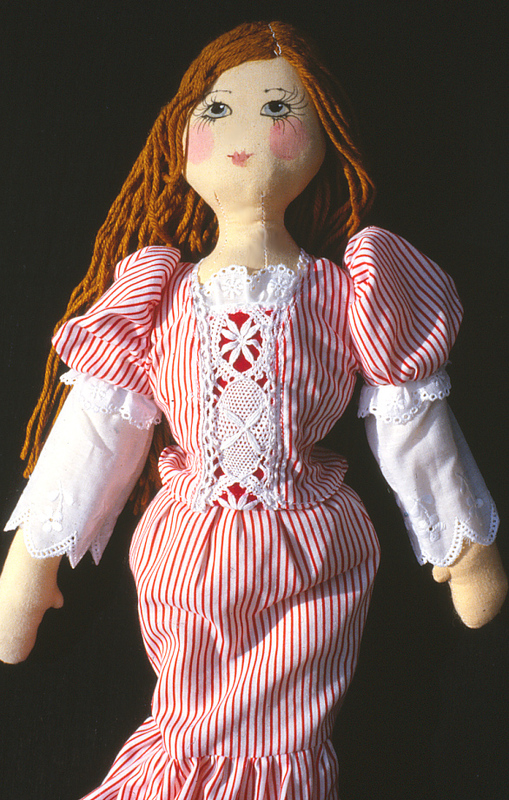 Though some might try to deny the importance of dolls, all cultures in human history have had dolls or figures based on human and animal forms. Dolls are used in festival displays and religious ceremonies and for more mundane and worldly story telling. We can re-invision ourselves easily with the assistance of an action figure, a fashion doll or a figurine. Art Dolls, Spirit Dolls, personal totem figures of all kinds have a powerful appeal to many. Art therapy (and other kinds too) makes good use of the way we can ease into telling our stories through dolls and puppets. There are huge industries built around collectible dolls, precisely because their appeal is so strong. 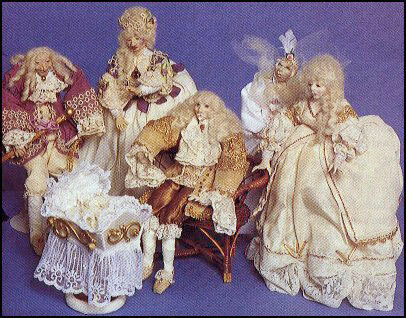 Most early European dolls were not playthings at all, but miniature displays of the dress designs of the times, used in sales. It was far easier to ship or carry miniature ensembles to show potential customers, and less expensive too! Very elaborate ensembles still exist in the collections of fashion doll enthusiasts, and there is a brisk business in collectible dolls and their clothing and accessories that grows every year. Children and adults alike still take great pleasure in miniature couture and “playing with dolls”. Many cultures attach religious significance to figurines and dolls–and other religions ban them entirely. Early Egyptian figures were meant to serve the god-kings reborn into their many lives. Chinese emperors were buried with detailed figures of warriors, horses, and servants of all kind, meant to accompany them in to the Next Realm. Some figures are meant for children—for instructive play, including toy soldiers for learning military maneuvers and baby dolls for learning nurturing skills. 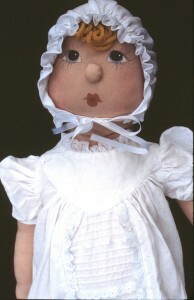 Amish dolls have no faces, which reflects their tradition of not showing faces of children in pictures at all. At left is a baby doll made using a pattern I drafted. She’s dressed in a white cotton christening gown with pintucks and lace that I made and embroidered. I used to do a lot more sewing than I do now! Click here to see more of my early cloth dolls. Then there are the fashion dolls for learning how to shop and accessorize with outfits galore! Paper dolls have been popular with ladies of all ages since “Godey’s Ladies Book” and printed fashion plates began appearing in print. Dolls were occasionally available in magazines as far back as the late 1800’s, and are now more popular than ever. Click here to see a line of black and white paper dolls that I drew. Click here for a how-to on digitally creating and coloring paper dolls. 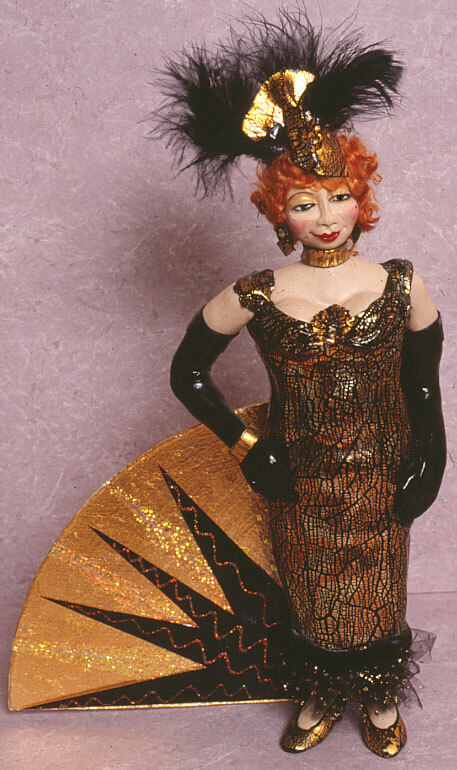 Dolls and maquettes, another word for ” representative models”, are sometimes made by artists for use in rendering characters in animated work. Polymer clays have been used in animations for more than 60 years. “Gumby” and “Davie and Goliath” were early television stop-frame animations that used a form of clay that never hardens, called Plastolina. Puppets are like dolls that have the ability to move and react and say things, and you can never be too sure what they’ll be up to next. 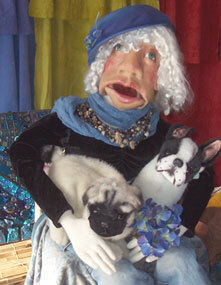 Hand puppets, finger puppets, marionettes, and ventriloquist “dummies” are all forms of animate-able figures. 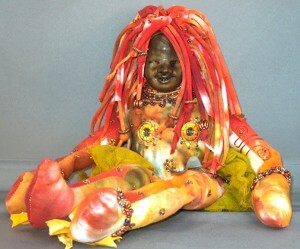 Aunt Acid is a polymer clay and cloth puppet with an internal wire armature. At right is a Purple Faerie Puppet, made with Premo head and hands, a hand dyed and decorated canvas body, and multi-colored wool hair. There are pointed ears wearing earrings under all that hair, which is made using hand dyed wool roving. 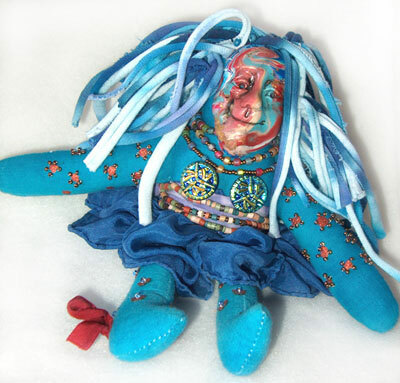 The Blue Mermaid shown above is another fantasy character. All her scales are hand cut using several sizes of Kemper circle cutters, and then individually applied to her tail. Her nine strand necklace is made of tiny crystal beads and polymer shells & coral, which took almost as long to make as she did! She’s shown holding a larger single strand necklace that was featured in a how-to article both in Jewelry Crafts Magazine, and in Create A Polymer Clay Impression, my first book in print. Both the Faerie and the Mermaid have heads that are formed over real (blown-out) egg shells. This makes the head lightweight and also the correct shape. Much of the armature inside my polymer clay dolls is either paper, wire or cloth, or aluminum foil. Often it is is a combination of many things. 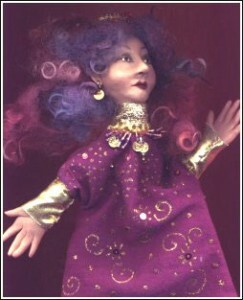 Since their first appearance in DOLLS magazine, and in the book “Creating with Polymer Clay” (Lark Books, by Steven Ford and Leslie Dierks), my “Shady Lady” series has always caused comments…these dolls are not for children, and aren’t toys at all! Each is a custom order, and prices for a 12″ doll such as “Pearl” begin at $250.00. Larger and more elaborate means more expensive, especially with lavish use of beading, special fabrics, and other details. 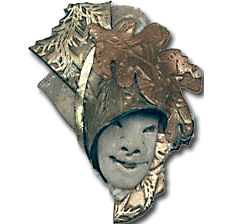 All of the ladies shown here are made of hand modeled polymer clays, such as FIMO , Premo, or Cernit. These are the firm end of the clay spectrum, and take well to sculpting and to making miniatures. Kato clay, newer to the market, is exceptionally strong and has become my favored clay for dolls and miniatures. Dolls are dressed using my carefully gathered treasure trove of fabrics, laces, and trims. These ladies were photographed by Bob Grieser, and each lady had her own room with furniture and accessories made of polymer clay. View more of Madame’s House and her Shady Ladies here. These are grown up dolls, each with a story (or three) of her own. Along with the “Shady Ladies” in the DOLLS magazine article were my very first dolls made with polymer clay. The Lady in Waiting and the Lord (in purple and creme) was the very FIRST thing I made when becoming aware of polymer clays –we immediately ordered some more! While I was waiting, I made the King and Queen. As a costume design student, all I really wanted from polymer clay was the ability to make simple forms I could then costume. Wow–did it deliver that and more! Shown here are the Baby Princess Aurora, The King and The Queen, a Lord Chamberlain and a Lady In Waiting, as well as the Good Fairy. 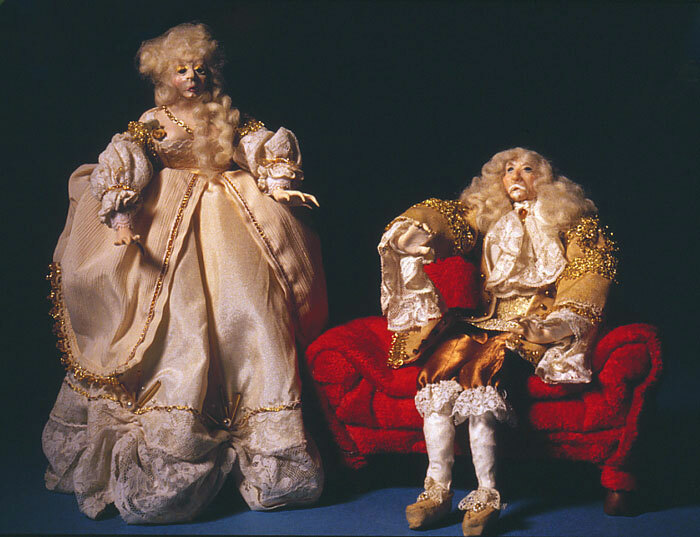 The set is of Sleeping Beauty’s Christening, and is lavishly costumed…and though the dolls are a long way from polished, they showed me the potential in the medium, and were a lot of fun to create. Any medium that so immediately allows the user satisfaction in creating is one to explore further. The arts of needlework, modeling, millinery, cobbling and more go into making successful dolls, and polymer clay has applications for all of them. Even those with crude modeling skills can find the fun of polymer clays—and practice makes them better. Books on anatomy, as well as those on sculpting and working with other artistic media can be a great resource. Visit your local library, and also remember that having your favorites in your OWN library makes for easier reference. 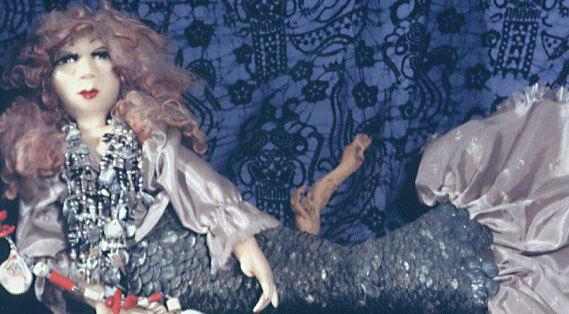 Here are links to lots of other pages on this site about dolls and miniatures.